Celebrate Halloween in Chicago's North Shore! 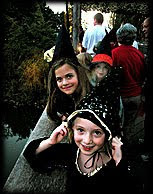 Living in Chicago’s North Shore provides many various opportunities to celebrate the Halloween holiday! You may already have plans to spend time trick-or-treating throughout one of the beautiful neighborhoods of Glencoe, Northbrook, Winnetka, Deerfield, Highland Park or any of the other North Shore areas. And, even though these neighborhoods are very safe and family-friendly, it’s still wise to be proactive concerning safety as you cross streets, drive through communities and approach homes. Of course trick-or-treating is not the only Halloween fun happening in Chicago’s North Shore this weekend! The stunning Chicago Botanic Garden is hosting two creative events that you’re sure to enjoy! - If you’re a dog lover, this event will allow you and your pooch celebrate Halloween in a unique way! Dress up your dog in their favorite costume and enter them into the Spooky Pooch Parade. This is the only time dogs are allowed into the Garden so be sure to take advantage of the opportunity. Not only will there be a parade, but also a costume contest where prizes will be awarded. - See the Chicago Botanic Garden decorated with pumpkins, spiders webs, ghosts and goblins while trick-or-treating through the Model Railroad Garden! Children can also pot a plant to take home to remember their fun experience at the Garden. I hope you’re able to enjoy one or both of these events! Halloween provides just one more way to connect with your North Shore community. While this is the season for frightening events; there’s something you don’t have to fear: the North Shore Real Estate Market. It may seem a little scary as you consider jumping into the North Shore Real Estate Market as you’ve been bombarded with the housing horror stories in the media. But, as I’ve recently pointed out in my blog; now is a great time to buy a home in the North Shore! Home prices and mortgage rates are at an all-time low and buyers have many beautiful North Shore homes from which to choose! If you have any questions regarding the North Shore Real Estate Market or would like to set up a time to see some of the available North Shore homes; please let me know. I would be happy to help you each step of the way! I look forward to hearing from you soon and have a safe and happy Halloween! 5 Reasons to Buy Now in Chicago's North Shore! If you’re thinking of buying a home in Chicago’s North Shore, I would suggest that now is a great time to do so! Not only is Chicago’s North Shore a beautiful place to call home, but the fall season is a great time to buy as well! North Shore sellers are hoping to find a buyer and move on before the busy holiday season gets under way, which means they may be a little more motivated to work with you on the selling price. It’s apparent that across the nation, and even in North Shore Real Estate, people are leery of the current housing market. They aren’t quite sure if buying a home is a wise investment when there’s no assurance that the market will improve. Recently, The Wall Street Journal highlighted reasons why now is an ideal time to buy a home. I thought it important to share a five of the reasons why buying a home in Chicago’s North Shore is a smart investment. 1. You can get a great deal- Along with it being a buyers’ market; prices have come down a long way– about 30% from their peak, according to Standard & Poor's Case-Shiller Index, which tracks home prices in 20 big cities. 2. Mortgages are cheap- We’re seeing the lowest rates on record! You can get a 30-year loan for around 4.3%, which cuts what you would’ve been paying two years ago for a North Shore home by 1/5. If the housing market picks up, it’s highly unlikely that you’ll see these rates again. 3. You’ll save on taxes- You can deduct the mortgage interest from your income taxes and you can deduct your from your North Shore Real Estate taxes. Many people will find that these tax breaks mean owning costs them less, often a lot less, than renting. 4. It offers some inflation protection- While it's not perfect, studies by Professor Karl "Chip" Case (of Case-Shiller), and others, suggest that over the long-term housing has tended to beat inflation by a few percentage points a year. That's valuable inflation insurance if you’re planning on staying in Chicago’s North Shore long term! 5. Sooner or later, the market will clear- Demand and supply will eventually balance each other out. The population is forecast to grow by more than 100 million people over the next 40 years. That means maybe 40 million new households looking for homes. Meanwhile, this housing slump will work itself out. Many of the homes will be bought, and prices will go back to their previous state. These are just a few key reasons why owning a home in Chicago’s North Shore doesn’t come at a better time! You’ll find many stunning homes on the North Shore Real Estate Market and one that will fit your needs and lifestyle! If you’ve been unsure of where to start; let me know! 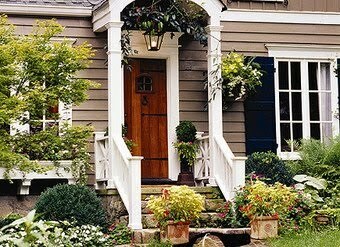 I’ve worked in Chicago’s North Shore for over 25 years assisting buyers and sellers through the housing market. If you need a North Shore Real Estate agent, feel free to contact me today! I look forward to helping you find your next home! Northbrook Active Listings: There are a total of 491 properties actively on the market with the average price of $595,821 in Northbrook. Northbrook Sold Listings: 27 properties closed last month in Northbrook with an average sales price of $414,608, the average time on market for these properties was 73 days. To view the complete report including additional detailed data, charts ad graphs, please view the Northbrook market statistics! Winnetka Active Listings: There are a total of 235 properties actively on the market with the average price of $1,889,208 in Winnetka. Winnetka Sold Listings: 13 properties closed last month in Winnetka with an average sales price of $1,200,923, the average time on market for these properties was 84 days. Highland Park Active Listings: There are a total of 423 properties actively on the market with the average price of $910,283 in Highland Park. Highland Park Sold Listings: 24 properties closed last month in Highland Park with an average sales price of $720,615, the average time on market for these properties was 107 days. Glencoe Active Listings: There are a total of 128 properties actively on the market with the average price of $1,997,119 in Glencoe. Glencoe Sold Listings: 6 properties closed last month in Glencoe with an average sales price of $979,000, the average time on market for these properties was 138 days. To view the complete report including additional detailed data, charts ad graphs, please view the Glencoe market statistics! Deerfield Active Listings: There are a total of 230 properties actively on the market with the average price of $567,165 in Deerfield. Deerfield Sold Listings: 16 properties closed last month in Deerfield with an average sales price of $382,206, the average time on market for these properties was 84 days. To view the complete report including additional detailed data, charts ad graphs, please view the Deerfield market statistics!